Columbia students acted as lawmakers on Wednesday as they presented their own bills to classmates at Participation in Government’s Legislative Day. 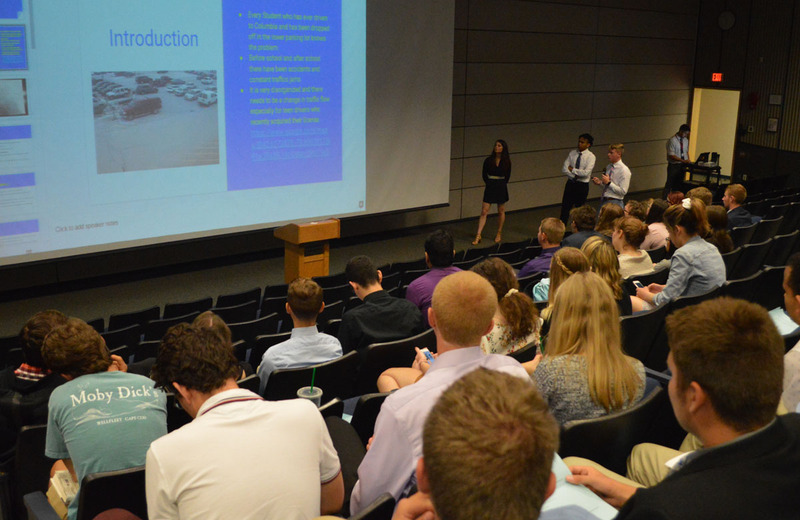 Six groups gave presentations on a variety of issues, the research and justification for them, and then answered questions from the audience. 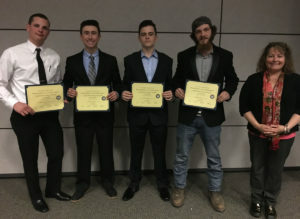 Lobby day winners (L to R): Michael Mahar, Keenan Cosgrove, Adam Wolfe and Tyler Keller with Social Studies teacher Kelley Sheraw. At the end of the school day, all of the students in attendance voted for one bill that they would like to see made into law. The winning bill proposed the legalization of sports gambling in New York State and was crafted by Michael Mahar, Keenan Cosgrove, Adam Wolfe and Tyler Keller. Legislative Day, coordinated by social studies teachers Kelley Sheraw, Dan Wagner and Jeff Tooker, is one of the many ways students at Columbia learn about civics and get involved in government relations. Jake Ashby, the New York State Assembly representative for the 107th District, which includes East Greenbush Central School District, spoke at the beginning of the event.